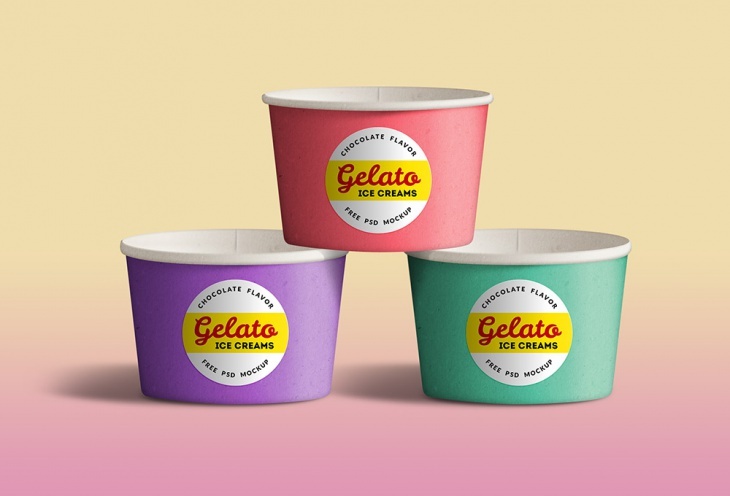 Ice creams are mouthwatering and what makes them more tempting is their packaging design. 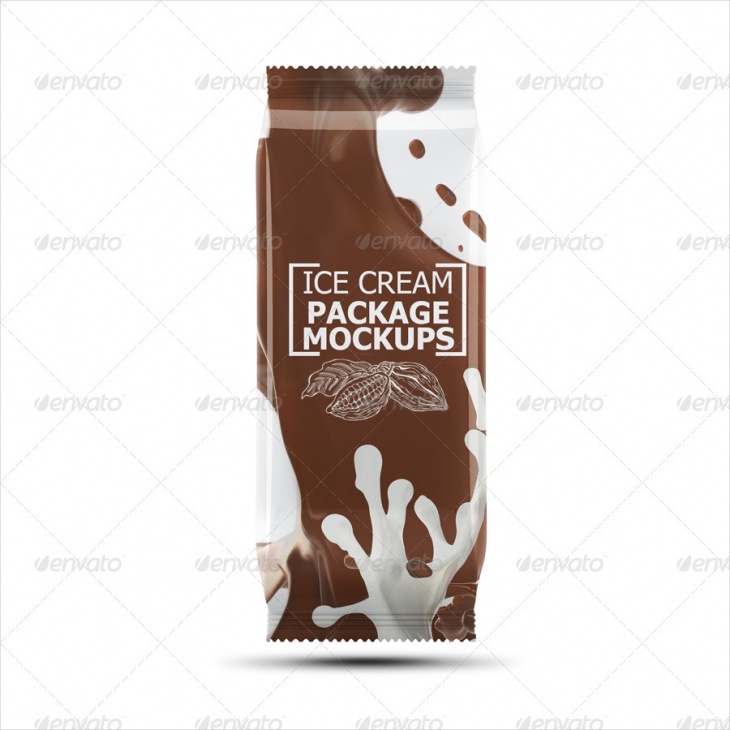 Whether you are a graphic designer or a businessman dealing with ice creams, these ice cream packaging mock-ups are great for your clients. Just add your design elements in these varied mockups and show them to your clients. They will give you a chance to play with textures, colors, and schemes. Eatable beverages must look scrumptious and mouthwatering and that is how these Ice-cream packaging mockups look like. 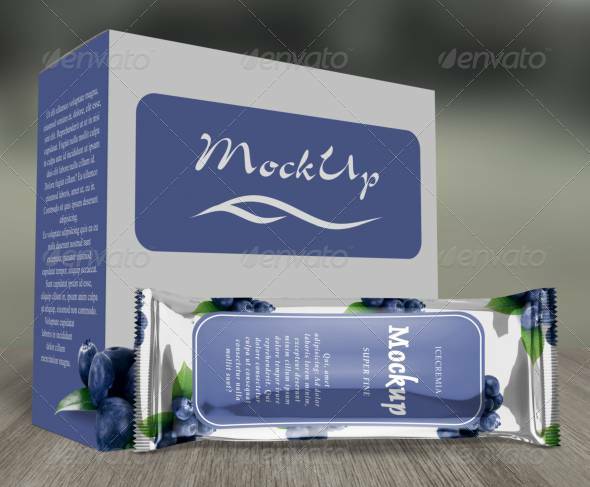 We have made a collection of the best mock-ups to help you in your creative work. Ice-cream is always yummy, but the way you present them matters a lot. With just a few clicks you can add your elements, thanks to smart objects layers. You can also play with the shadow, make necessary changes in color or background, and change the color of icecream or bowl and customize these PSD files mockups to match your brand. 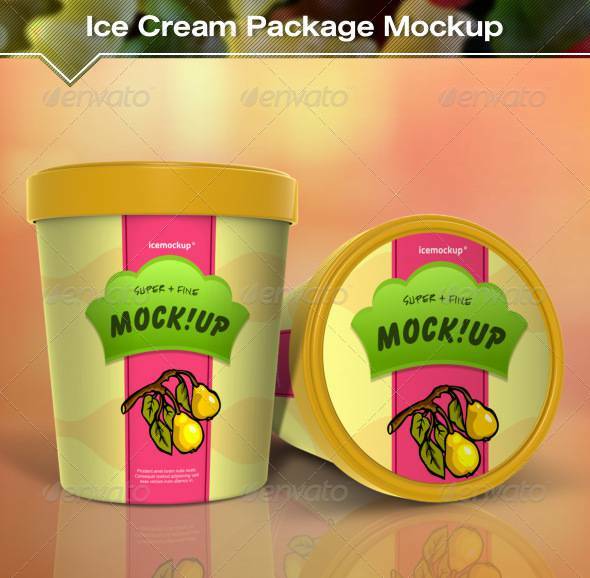 Use this Ice cream package mockup for designing alluring ice cream cups. These PSD files allow you to change the colors, background and shadows to give the images the look that represents your brand best. 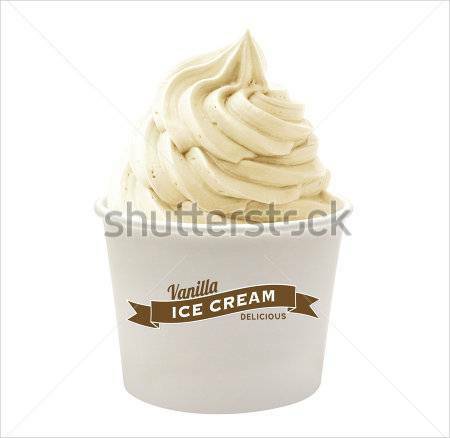 These ice cream cup PSD helps you in editing and designing ice cream cups for your brand. Add your own labels to the cups with the help of smart object and make them look unique to represent your brand. Change the colors, shadows and background as per the requirement of the design. 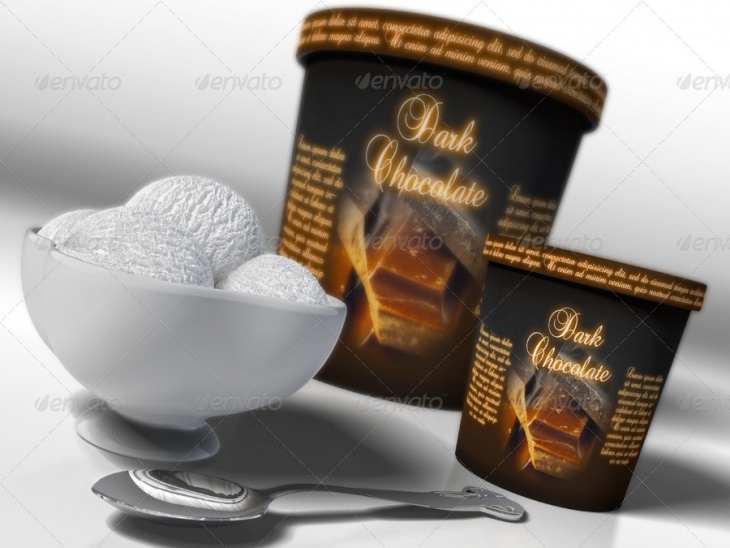 Use these 4 layered PSD ice cream package mockup for presenting the design of ice cream packaging. Just double click on the objects and paste your artwork. Change the background to match the design of the ice-cream packages and do a lot more to create unique packaging for your brand. 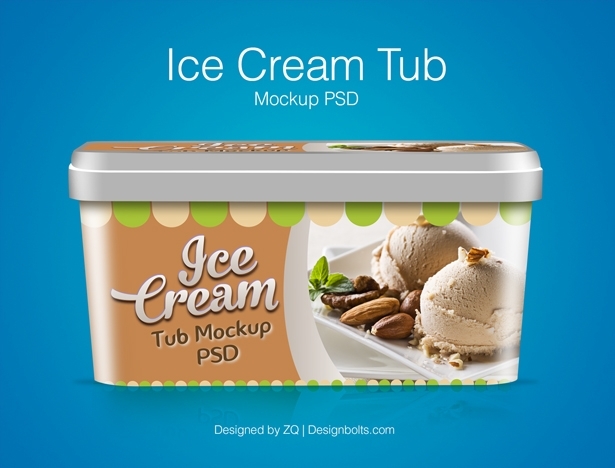 The above Ice cream tub packaging mockup is available free for designing the packaging of ice cream tub. This mock up PSD file helps you place your logo, change the back ground and put in your artwork. However, to decrease the file size the layers are hidden so unhide them before you start working. 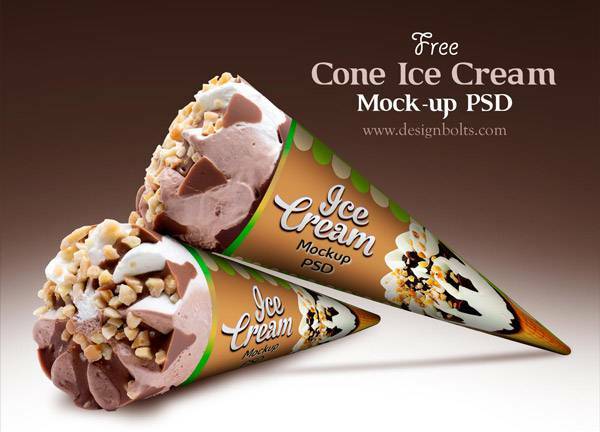 Here are Ice cream cone mock up that comes with 4 layered PSD files. You can change the color of the cones, smart objects let you paste your own artwork with double click and shadow layers helps in changing the shadows as you change the position of the cones. The PDF help file also helps you if you find any problem while working with these mock up files. These ice cream cones mock up for presenting you with the best possible way for designing the ice cream cones. They are high resolution PSD files where you can customize according to your requirement. 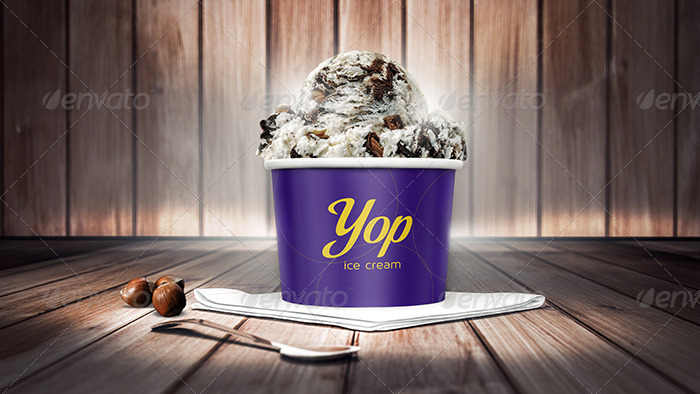 Make the ice cream look tantalizing with this PSD file ice cream package mock up. Get responsive designs with the help of smart objects. Change the color of the packets, ice creams, put in your logo or customize it in any different way you like. You can also adjust the effect of the light and shadow with just simple editing. 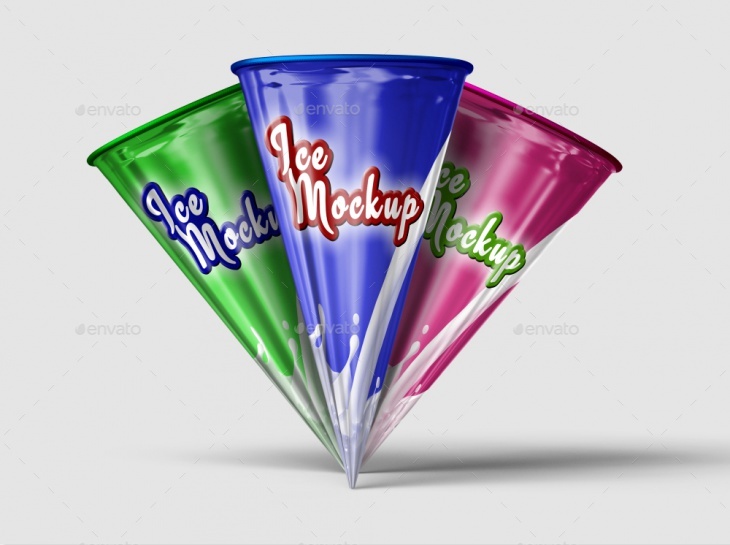 Present the ice cream cups designs in an elegant way with the help of these photorealistic ice cream cup mockups. These PSD files are layered making it easier for you to change the artwork and make them look like something you want to market. White background has its own appeal when it comes to ice cream cups. Here is collection of such PSD files that lets you add your own logo and background to make the best ice cream cups for your clients and customers.